In this collection of ﬁve short stories Theresa Griffin Kennedy's assortment of unusual characters are sharply insightful and as damaged as they are intriguingly complex. 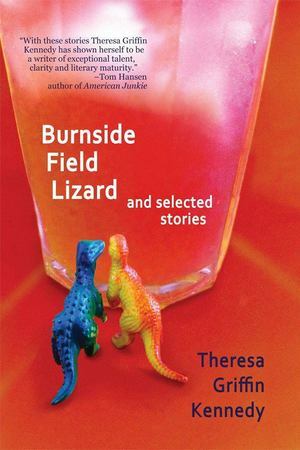 Jolting the reader into regular double takes, "Burnside Field Lizard and Selected Stories," gives an authentic, place-based portrayal of some of Portland's less privileged inhabitants. Gender, class and sexual based consciousness seep into the grain of each story but most importantly Kennedy examines a universal question from the perspective of the Portland neighborhoods she knows intimately: What are people willing to take from others in order to survive and what does it mean to be human in such a landscape?